The above horses are in order from left to right: a Lusitano, an Azteca and an Andalusian. 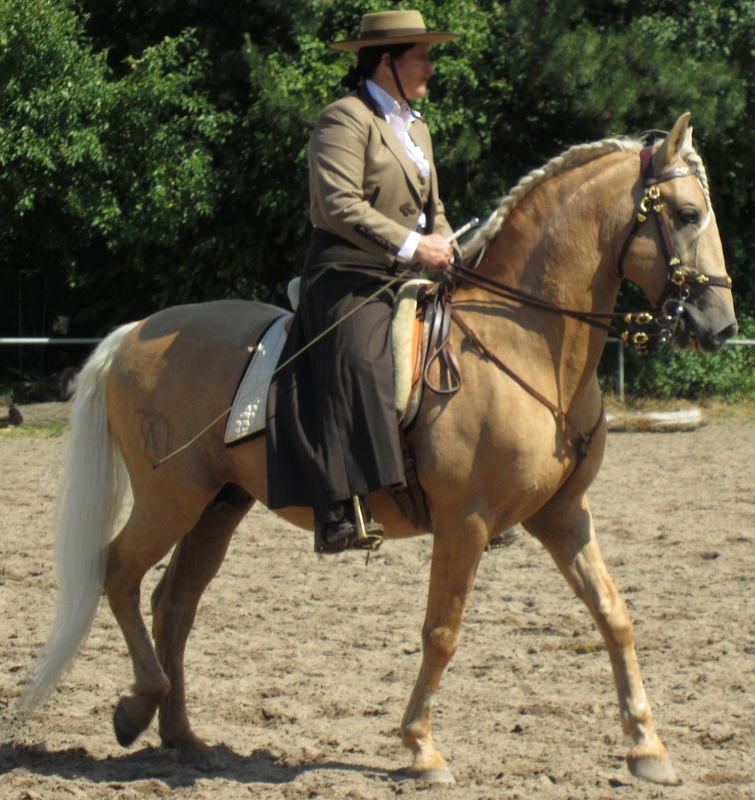 Each shown in their native country tack. 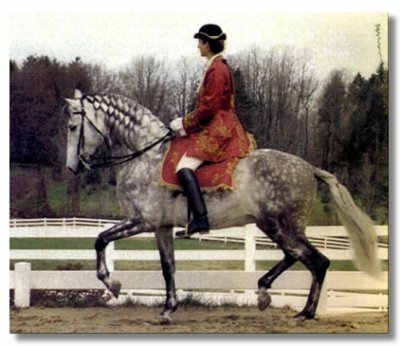 The Lusitano is found in Portugal.Â These horses are very similar in conformation to the Andalusian horses of Spain.Â The two breed are thought to have originated from a common source but selection in the Lusitano has resulted in a more convex profile reminiscent of the old Andalusian or Iberian horse whereas the Andalusian as developed a more Oriental head shape. 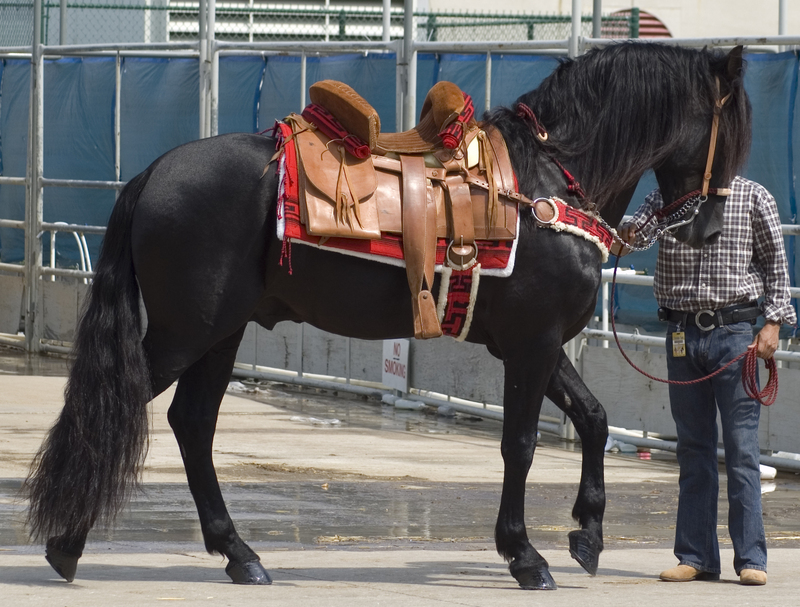 Lusitano horses are generally between 15.1 – 15.3 h.h but there are some that make over 16 h.h. Often gray or bay, they may be any true color, including dun and chestnut.